Drug Regulation Handbook from C.H.I.P.S. 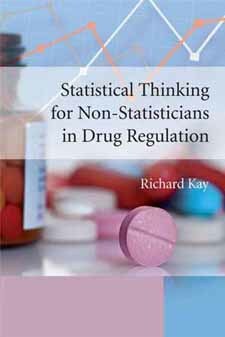 Statistical Thinking for Non-Statisticians in Drug Regulation focuses on the pharmaceutical non-statistician working within a very strict regulatory environment. It presents the concepts and statistical thinking behind medical studies with a direct connection to the regulatory environment so that readers can be clear where the statistical methodology fits in with industry requirements. Pharmaceutical-related examples are used throughout to set the information in context. As a result, this book provides a detailed overview of the statistical aspects of the design, conduct, analysis and presentation of data from clinical trials within drug regulation.